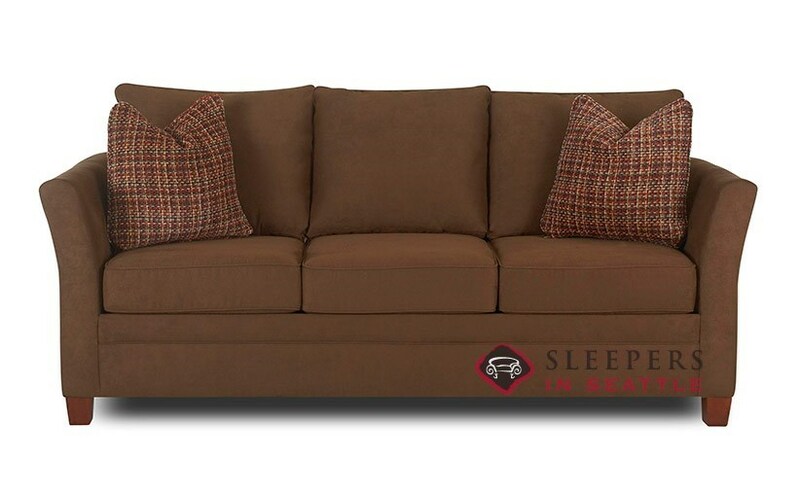 The stylish Murano Queen Sleeper offers flared arms, a graceful and slender form, and square accent pillows. 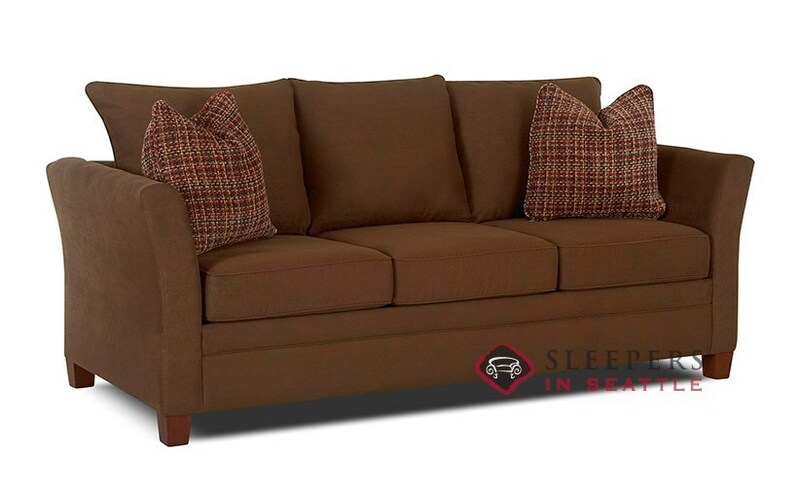 Also available with rectangular side-pillows as the Venice Queen Sleeper. Word to the wise. Get the gel infused memory foam mattress. Trust me, just do it. 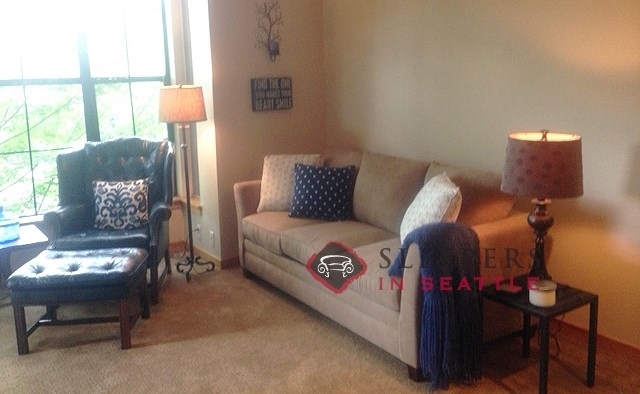 Good afternoon Sleepers in Seattle! 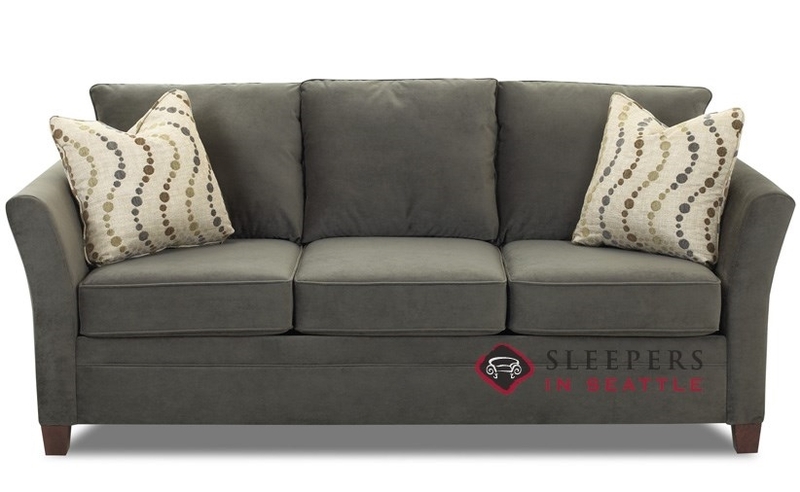 Just writing to let you know my couch arrived last week and it is beautiful. After waiting for it for about 6 weeks I was little anxious, but it arrived in great shape and the delivery process was smooth. The Murano is exactly what we've been looking for. The design is simple and nice, I didn't want anything to crazy or out there. The couch is really cozy and the sleeper is firm and comfy (it feels like a real bed!). Our guests will be happy about that. 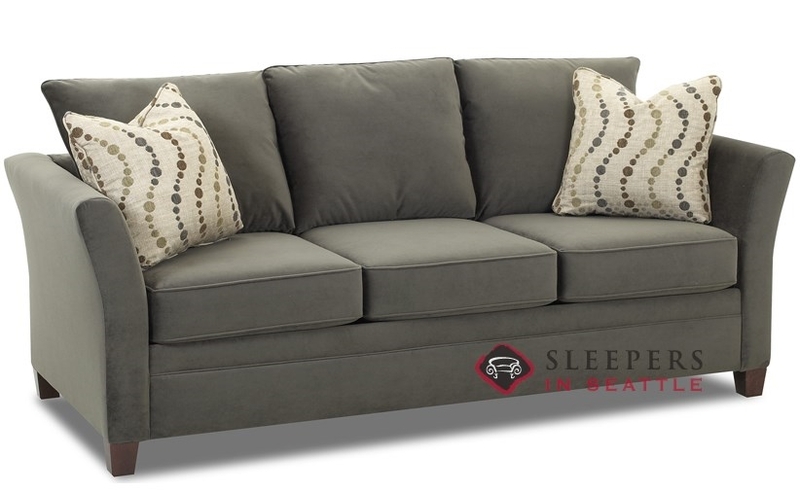 Thank you for the new sofa, hopefully we won't be back on the furniture market for awhile, but when we are, Sleepers in Seattle will be our first stop! Will the sofa fit through a narrow doorway? Can it come so that it can be assembled in the room? 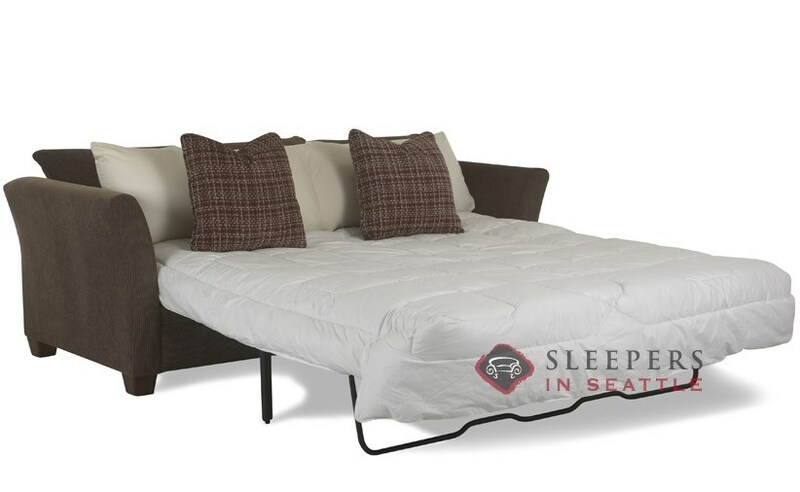 The Murano Queen sleeper will ship fully assembled. 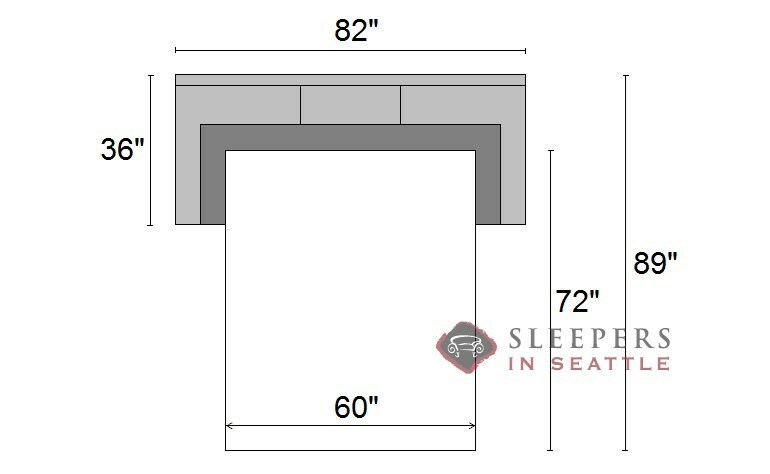 However, the feet are easily removed, and it only requires about a 25" doorway for delivery. as an older person, I need a firm and highish seat. What is the seat height and how firm? How easy is it to add height with feet caps? The seat heigh on this piece is 21". 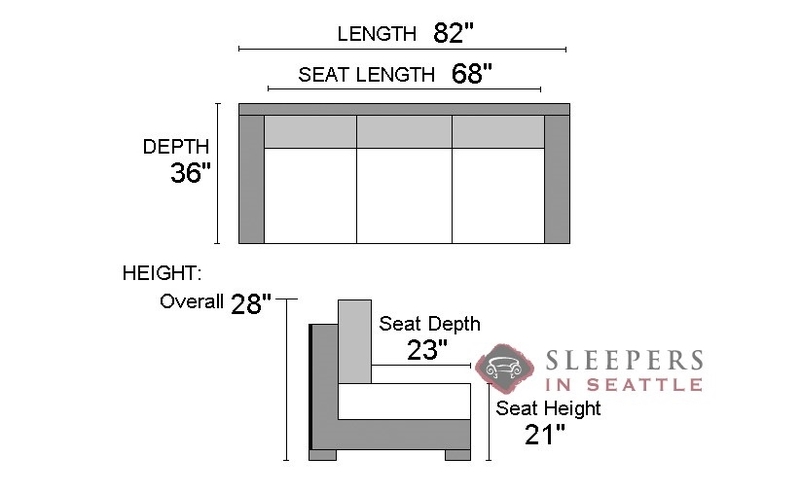 It is not ideal to add height with caps, because the pitch of the extended mattress will then be off the intended angle. The seats are a good middle ground, offering solid support, but are not the firmest. For a more firm seat, I would recommend one of our tight-back styles.